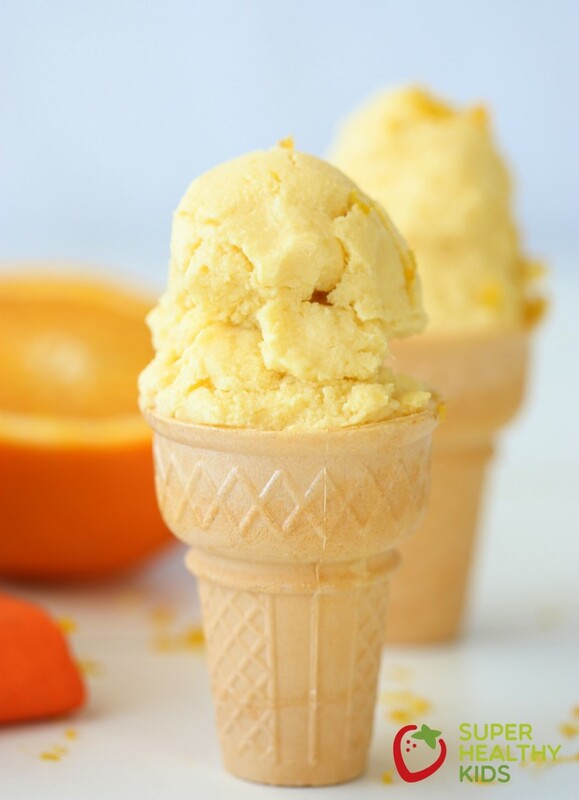 This orange creamsicle ice cream is a cross between a really smooth creamy ice cream and a more fruity icy sherbet. If you don’t like the taste of coconut milk and don’t need to do dairy free, you can always substitute heavy cream or half and half for the coconut milk. 1. Peel and section oranges. Lay flat on a tray and freeze until hardened. 2. In a blender, add coconut milk and half of the frozen orange sections. 3. Blend until smooth. Add the remaining oranges and continue blending. 4. Add the sweetener of your choice (honey, powdered sugar, maple syrup) and vanilla extract. 6. Pour into a freezer safe container and freeze until solid. 7. When ready to serve, let it sit out for a few minutes to make it easier to scoop.